It was passed three years ago, but only now has the Lagos State AIDS Control Agency (LSACA), in collaboration with Enhancing Nigerian HIV Response (ENR) and the Lagos State Ministry of Justice begun "aggressive dissemination" of the Law for the Protection of Persons Living with HIV and Affected by AIDS in Lagos state and for other Concerned Matters. According to the Daily Independent, the law's prime aim is to protect the rights of people with HIV by punishing HIV-related stigma. Any form of prejudice, negative attitudes, abuse and maltreatment directed at people living with HIV and AIDS amounts to stigma. 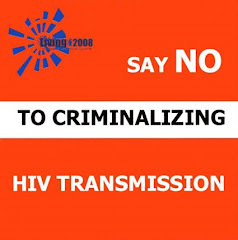 However, not so known to many people is the fact that committing any of these acts now amount to committing serious legal sins against HIV positive persons, for which some of the punishments are almost as grave as criminal offences. There are, indeed, some positive provisions in the law which punishes breaches in healthcare worker-patient confidentiality and employer and landlord discrimination of people with HIV. It also criminalises bogus claims of HIV 'cures'. To make this law work effectively, a Justice and Human Rights Watch Group is to be established. The group, which shall be under the control of the Lagos AIDS Control Agency, would be responsible, by law, for the monitoring and implementation of provisions of the law. Ibirogba said, “Part of the policy which informed the drafting and subsequent passage of the law was the fact that Lagos state is most concerned about the plight of the affected persons, especially in terms of discrimination and stigmatization in hospitals, their neighbourhood and places of work. Head of LSACA’s project Office, Dr. Olusegun Ogboye, said the agency would do everything possible to ensure the law is disseminated across as many Nigerians in Lagos. “It will not make sense for any person to demand for special attention or ask for more than what he or she deserves because he or she is HIV positive,” Oyedeji said at the dissemination forum, which also had People Living With HIV/AIDS in attendance. makes an offence punishable with various jail terms up to 10 years imprisonment and fines for anyone who intentionally infects others with the Human Immunodeficiency Virus (HIV) that causes the Acquired Immune Deficiency Syndrome (AIDS). Across the continent in Uganda, international civil society Organisations, academics and HIV professionals met with the social service committee of the Parliament of Uganda last month to argue that similarly worded criminalisation statutes in the HIV/AIDS Prevention and Control Bill will increase HIV-related stigma. [We] are of the view that crucial provisions of this law constitute a step back to the pre-1987 time when ignorance, fear, stigma and discrimination were the hallmarks of national engagement with the crisis. Namely mandatory testing, that is to say testing of a person for HIV without their knowledge and informed consent; mandatory disclosure, that is to say disclosure of a person’s HIV status without their knowledge and informed consent; and criminalization of intentional transmission of HIV.